Many of our new patients have been told at other offices that they have gum disease and that they need to have deep cleanings to correct it. Although that may be true in some cases, the majority of these people do not have a problem at all. What should you look for? First of all, a periodontal probing is absolutely necessary. You should be hearing the clinician calling out numbers to be recorded. 1 to 3 is normal; 4 and 5 are the beginning stages of gum disease and is very reversible; 6 and 7 are more advanced; 8 and 9 are very advanced; and 10 the tooth is lost. If your probings are 5 or greater you probably need some type of treatment. However, probings can be skewed by the clinician to create a false reading. If you have been getting your teeth cleaned every six months, you brush and floss regularly, and all of a sudden a new office is telling you that you have a problem, you may want to get a second opinion. Regardless, gum disease may be a serious condition. Not only does it affect your mouth, but research has shown us that it has effects throughout your entire body. Bottom line: if you are comfortable with your diagnosis then get it fixed. If not, get a second opinion . 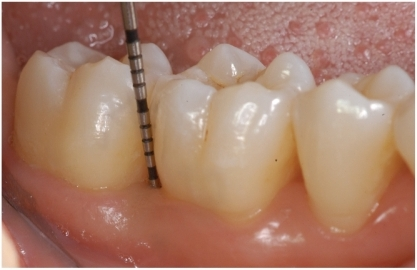 Previous Previous post: HATE THAT DENTAL NEEDLE? Next Next post: Is Your Snoring Affecting Your Lifestyle?